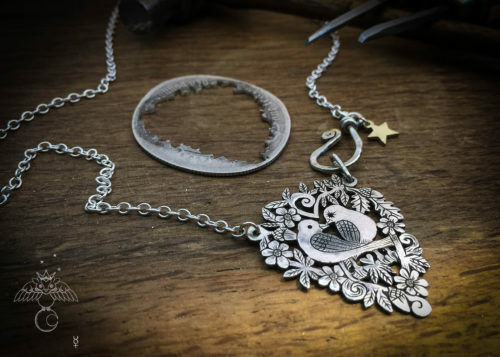 The Birdsong and Blossom necklace. 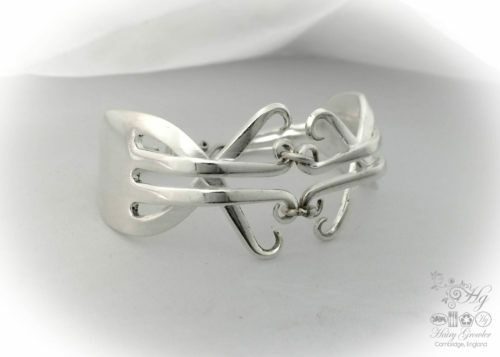 Sterling silver, eco concsious, eco friendly, ethically manufactured. 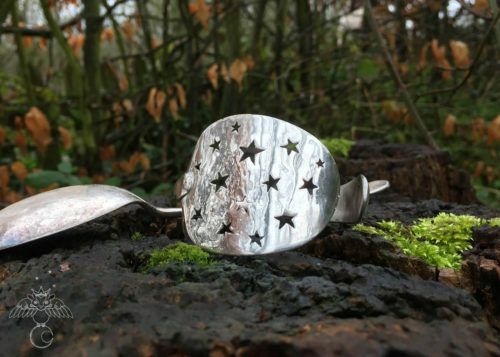 Totally recycled and handmade from English antique silver coins. 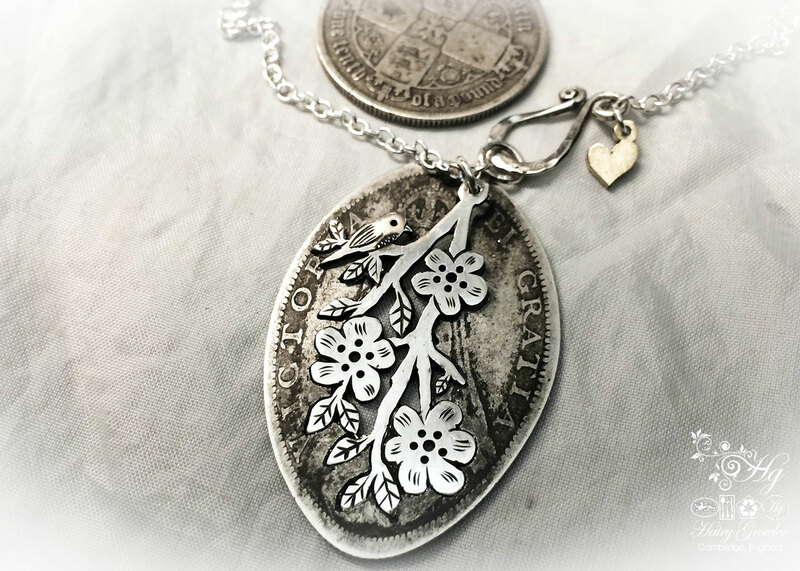 This lovely little pendant is hand cut from an old pure silver English silver Florin coin. Circa 1890’s these coins have a wonderful warmth and feel. Uncollectable to coin dealers due to excessive wear, these coins are the perfect raw material to recycle into something precious, unique and wearable. 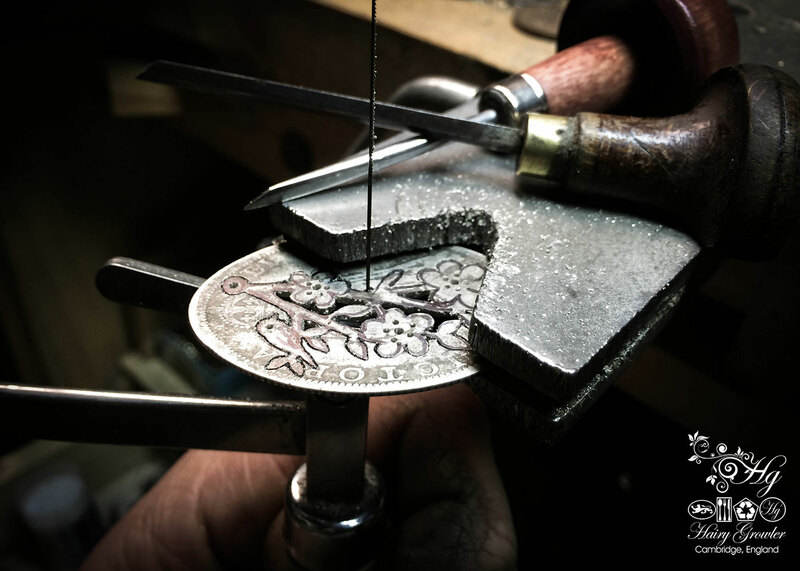 Each and every one is meticulously hand-cut, hand-engraved and made with love! 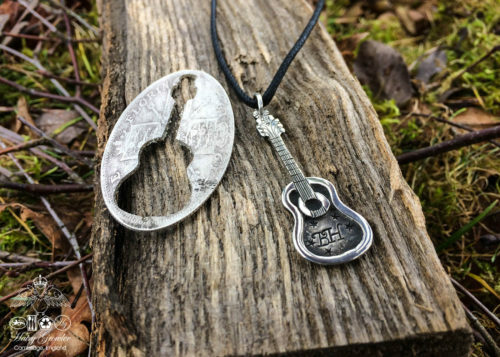 Included with the pendant is the beautiful ‘off-cut’ of silver coin which connects the wearer to its previous and wondrous history and green ethical origins. 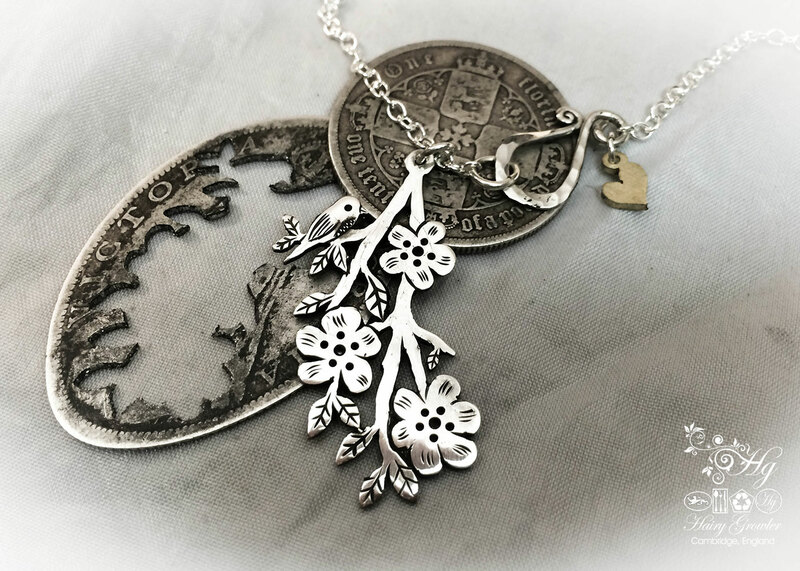 Birdsong & Blossom necklace – gorgeous birthday gift! 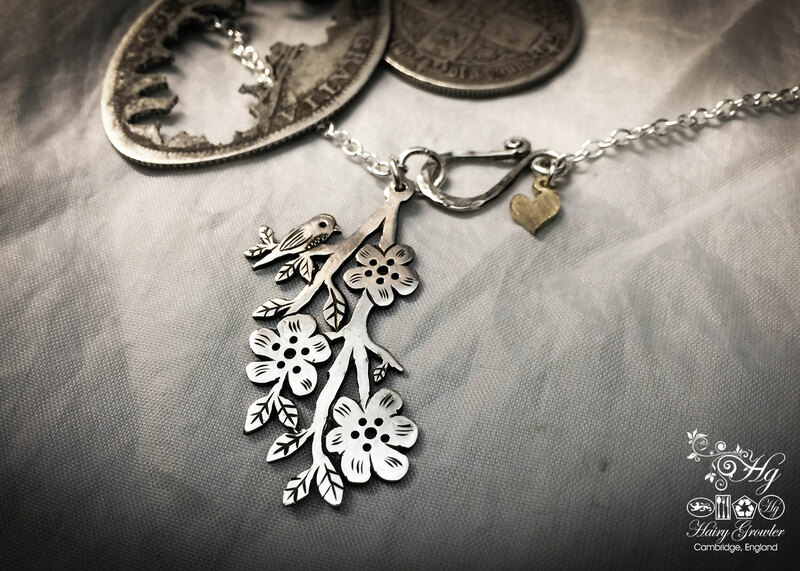 I saw Hairy Growlers beautiful silver creations for the first time on FB. I was hooked! My hubby ordered this gorgeous necklace for me for my birthday. I absolutely love this necklace, so unique and lovely to wear with anything! 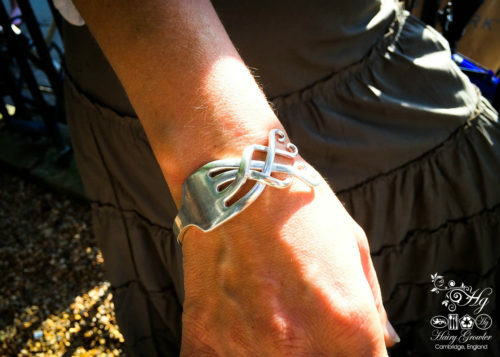 I have my eye on several pieces now and it’s our 30th wedding anniversary this year! Whoohoo! Perfect size, weight. Quality is amazing. Truly beautiful and my wife never takes off her necklace.